Baby Ben is three weeks old today! I can’t believe it. Does time fly by even quicker with each child?! It sure feels like it. I’m not sure if Ben really is an easier baby than Blaire or if I just knew what to expect the second time around. Either way, things are going great! 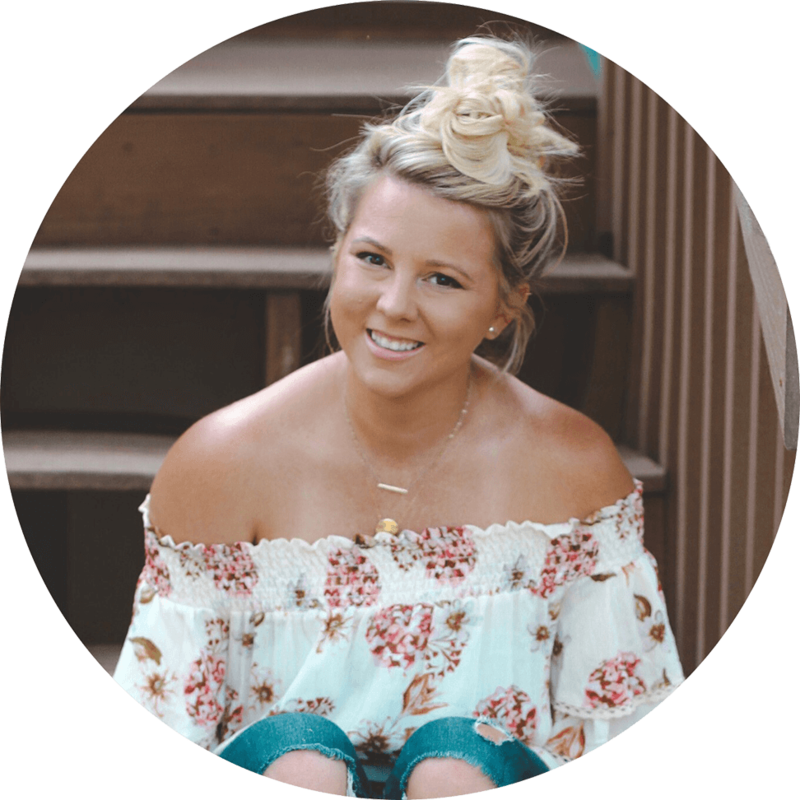 I’m definitely getting more sleep than I did with Blaire and I wanted to share the items I’m loving this time around. 1 | Rock ‘n Play: We didn’t have a Rock ‘n Play with Blaire and oh boy is it a game changer! She really loved her swing (which wasn’t portable) and Ben is really loving the Rock ‘n Play. I love that I can take it in the bedroom when I’m showering or even to the basement whenever we’re down there. There are two versions, one that rocks automatically and one that doesn’t. (We went for the automatic version, which is the one I’ve linked here.) He sleeps in it throughout the day and I’m certain if he could sleep in it at night, he’d be sleeping through the night. According to the AAP, babies should sleep on their back, on a flat surface to help prevent SIDs, and this is why he does not sleep in it unsupervised. 2 | Footie PJs: These footie PJs are the. best. They have an inverted zipper, which means the zipper starts at the top. They work well with our favorite swaddler, because it can unzip from the bottom, too. So it makes those middle-of-the-night diaper changes a little less crazy, since we only have to undress him from the waist down, his top stays cozy! 3 | Mittens: I had good luck finding the PJs with the built-in mittens when Blaire was a baby, but only have one pair for Ben. So we’ve been using these mittens every day to keep him from scratching himself, since his hands are always up by his face. 4 | Swaddling Blankets c/o Modern Burlap: I’m loving these black & white swaddling blankets from Modern Burlap. They sent me some to try, and I ended up purchasing more because I love them SO much. Babies aren’t able to see various shades of color when they’re born, but they can see dark, contrasting colors. Surrounding them with black and white helps develop their vision. These swaddles are giant and soft, so they’re perfect for swaddling, covering him in his carseat and for tummy time! 5 | Love to Swaddle Up Swaddler c/o Love to Dream: Love to Dream sent me this swaddle to try out and it’s AMAZING. Ben loves to have his hands up by his face. So this swaddle is perfect. He sleeps in it overnight and then we usually swaddle him with a blanket during the day. It has two zippers, so you can unzip it from the top or from the bottom. It makes diaper changes easier, especially when he’s wearing PJs that also zip up from the bottom. 6 | Solly Baby Wrap c/o Solly: Yay, baby wearing! The Solly wrap is SO easy. For the wrap I had with Blaire, you had to purchase it according to your size and I just never felt like it fit right. The Solly wrap is one size fits all and it comes in THE CUTEST prints and colors. I love it! It makes grocery shopping easier, so his carseat doesn’t take up the whole shopping cart. 7 | 4-in-1 Nursing Cover c/o Covered Goods: Even if you’re not nursing, this cover is a carseat cover, too! I use it to cover Ben’s carseat and then just take it off to use as a nursing cover when we’re in public. They have tons of cute prints. I had one with Blaire, too and we even loved to use it as a shopping cart and high chair cover. 8 | Dockatot c/o Dockatot: I’m a cosleeper, so the Dockatot was a must-have this time around. I am nursing, so it makes it easier to have him right there in the bed with me. I can just lift him right back in when he falls back alseep and I never have to get out of bed… except for diaper changes. Most days I still can’t believe I’m a mama to two. But it is so much fun, I just need time to slow down a little bit. What were your favorite items to help you through the newborn stage? Did I miss anything?! This is such a great list! So many good baby shower gifts on here too. I am also definitely getting a dock a tot for my next baby! 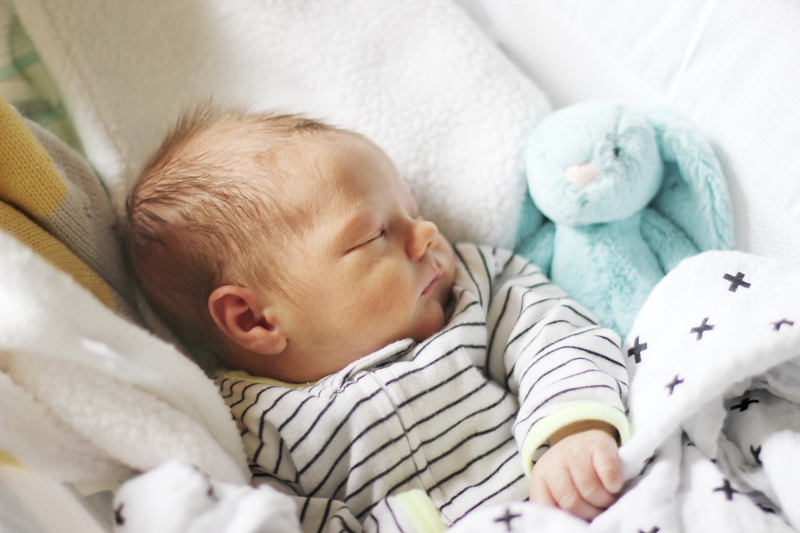 We loved those swaddle blankets too and now we buy them for every new parent. My kids are 4 and 6 and they still dig them out. yes! absolutely to every single one of these items :) i agree with the mittens because i’m SOOO uncomfortable with cutting/filing nails. And baby wearing saved my life when my husband deployed lol two free hands are so much better than one. I still have to get a nursing cover! Love that this one has many functions! Bookmarking this for a few years from now if I’m blessed to be a mama…! This is such a great list! We loved using our Rock n’ Play for our little girl! Great list! 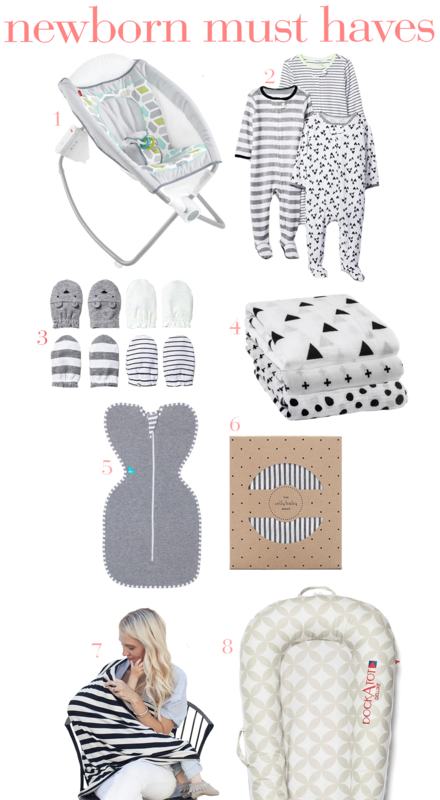 The Rock n Play, DockaTot and swaddles were definitely our favorites and must haves! Great list! I’ll be having my second in October so it’s nice to hear what others are loving. I really want a Solly! Such a great list!! That rock in play in a life saver! !